While on vacation in South Carolina, Tj Jensen receives a call that her father has been left in a coma after a devastating car crash. Back home in Paradise Lake, Tj learns the accident that killed family friend Judge Harper and left her father clinging to life wasn't an accident at all-someone cut their brake lines. To make matters worse, her friend and police contact, Deputy Roy Fisher, is working with a new partner who has no intention of letting Tj anywhere near the case. 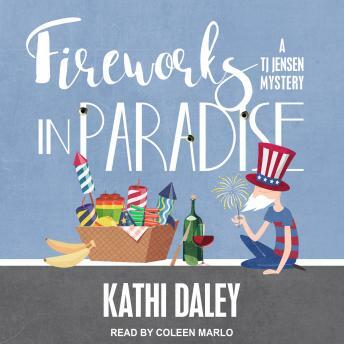 Facing an investigation more explosive than the annual fireworks show, Tj enlists the help of her best friends to unravel the mystery, all the while navigating a new romance and the thought her father may never wake up.